It’s been a busy November month for video gamers no doubt, with quite a few major games hitting the shelves before the Christmas season kicks off next month. Amongst the games seeing a release this month are Hitman 2 and Fallout 76, new entries in two major, long-running heavyweight franchises. But things did not go so well for either game during their launch week, as the UK sales charts have revealed. As reported on gamesindustry.biz, Fallout 76 has debuted in the charts at number 3, behind Activision Blizzard’s Spyro Reignited Trilogy (a remaster of the first three Spyro games) and Rockstar’s behemoth Red Dead Redemption 2. But while coming in at number 3 doesn’t seem so bad, according to gamesindustry.biz sales re down more than 80 % relative to those of Fallout 4, the last major entry in the series which came out in 2015. Granted, Fallout 76 is a multiplayer, online-only game and not a new mainline entry, but the drop does suggest a somewhat lukewarm response to this new Fallout game. 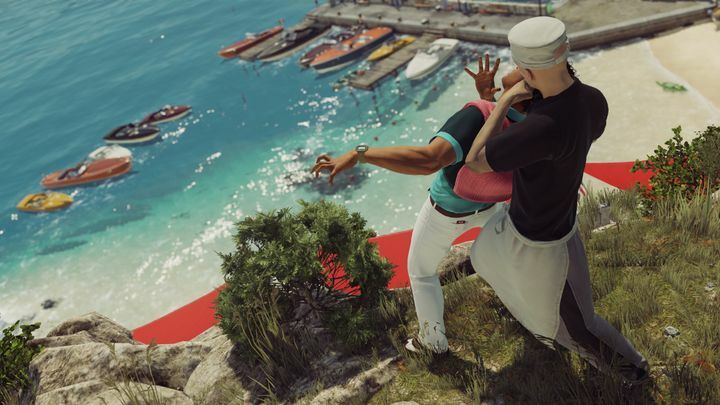 Things are even worse for Hitman 2, a sequel to 2016’s fantastic Hitman game, which barely made it to number 10 on the charts. Actually, it was outsold by last year’s Mario Kart 8 and Fortnite: Deep Freeze Bundle, the most recent retail release of Epic’s massively popular online shooter. More worryingly, sales are down 90 % compared to 2012’s Hitman: Absolution. Granted, the UK video game sales charts compiled by GfK don’t take digital sales into account. These are increasingly an important part of a video game’s total sales, and have been on the rise since Hitman: Absolution came out in 2012. But still, a 90 % drop seems very steep taking into account this is a franchise which once sold millions of copies and which spanned several Hollywood movies too. Both Fallout 76 and Hitman 2 might sell more copies over time though, especially during the Christmas season. Although it will still be hard for either to compete with the likes of Red Dead Redemption 2 and Call of Duty: Black Ops 4 (undoubtedly the two biggest games of the year), taking into account players’ limited cash and time. Either way, both these games will have live content released for them over time, giving both Bethesda (makers of Fallout 76) and IO Interactive (makers of Hitman 2) plenty of time to generate player interest and rack up extra sales. And especially in Fallout 76’s case, it seems Bethesda is just getting started adding stuff to the game and fleshing out its post-apocalyptic world, meaning it’s likely to draw plenty of players in over time as the likes of No Man’s Sky have done. Regarding the sales charts for last week, other games to make the UK charts were Pokémon Let’s Go Pikachu at number 4, FIFA 19 (number 5) and Pokémon Let’s Go Eevee (number 6). But what’s really interesting here is whether Red Dead Redemption 2 (last week’s number 3) will be able to outsell Call of Duty this year? This remains to be seen.